Just six short hours away from my home sits a Volvo 740 Wagon with a Ford Cobra V8 stuffed under the hood. Could that be Paul Newman's car? Wayne Carini from Chasing Classic Cars featured itfew years ago. I think the suspension was hot-rodded too. Sinfield had one of these on coffee cars and comedians. When it comes to creating the ultimate sleeper, a Volvo is a great starting point. History is littered with lightning fast Volvos, whether they be from the factory, or Frankensteined in someone’s garage. Right now I am staring the latter right in the face and doing everything I can to keep the phone on the table and my wallet in my pants. Just six short hours away from my home sits a Volvo 740 Wagon with a Ford Cobra V8 stuffed under the hood. 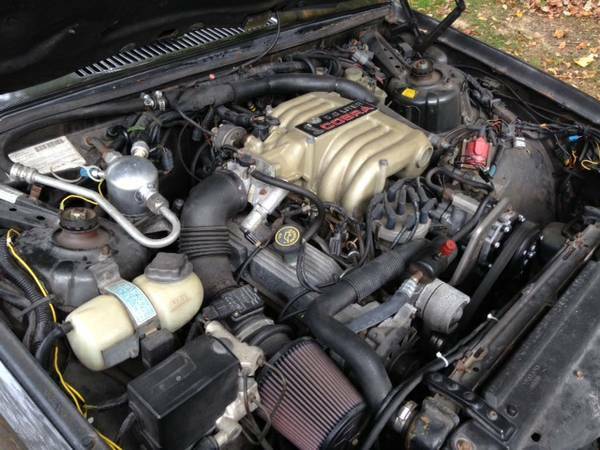 Thanks to the wonders of Craigslist, I know that this thing exists, I know it’s for sale, and I know that with just ten-grand and a short drive, I could be embarrassing every Camaro I come across. The want is strong with this one. Along with the new motor is a new exhaust system, upgraded fuel system, better brakes, track-ready suspension and fresh tires. Oh, did I mention the new T5 manual transmission sitting in the middle? Be still my beating heart. I need someone to come buy this thing before I buy it myself and give my wife a great reason to call a divorce lawyer. Naw, C_Moe, that's ok. Go ahead and buy that thing, have fun! Definitely sleeper cars. Just the Volvo's massaged by Polestar will smoke most others on the street. Record Setting EcoBoost Mustang: 10-Second Pass!